Metalens the new human eye? Researchers may have just found a new version of electronic eye that behaves much like a human eye. This flat electronically controlled artificial eye known as a metalens can autocorrect for blurry vision, giving it a host of uses in various industries be it Augmented Reality, Virtual Reality, in optical microscopes and so on. 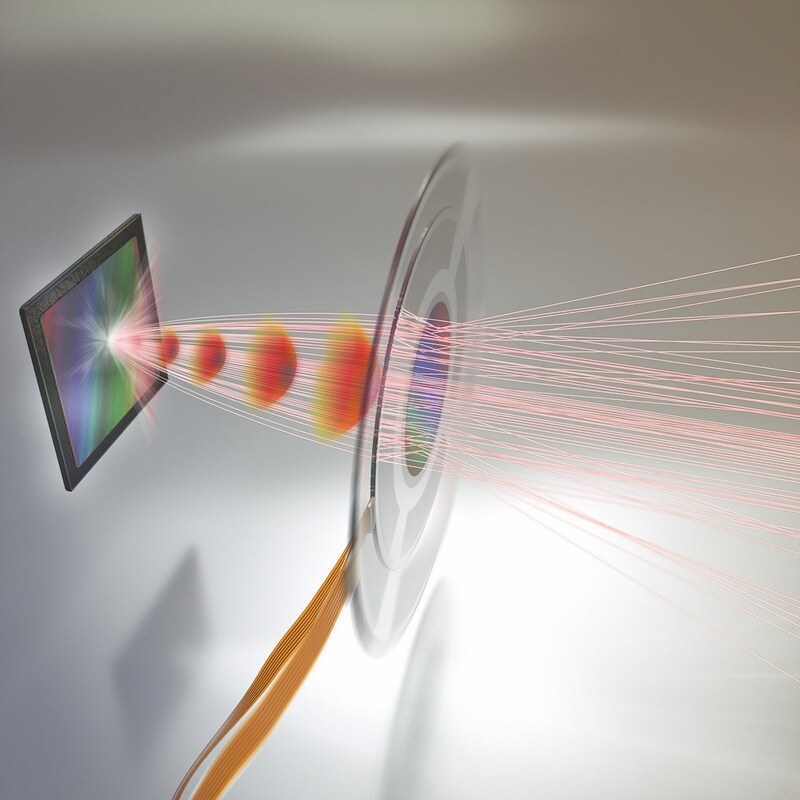 By taking a cue from the human eye and its functioning, researchers have made an adaptive metalens that can control the main reasons for blurry vision, which are astigmatism, image shift and focus. While the former two is well out of control of the human eye in correcting on its own, the latter can be taken care of by the functioning of the human eye. Therefore metalens even goes beyond what a normal human eye can do. Inspired by a human eye, researchers came up with a flat electronic artificial eye come to be known as a metalens. The Metalens can autocorrect for blurry images caused by focus, image shift and astigmatism. Combining breakthrough tech in artificial muscle technology and meta lens technology, researchers have devised an artificial electronic eye that is a meta lens that can focus on images in real time much like the human eye does. Going even further than the human eye, a metalens can even correct for astigmatism and image shift that the normal human eye cannot do on its own. Because of the feasibility of the project, metalens can be used in a host of applications such as Virtual Reality, Augmented Reality, Optical Microscopes that can work electronically without the need to refocus or adjust, mobile cellphones, cameras and a host of other applications as well. While being used in these fields, ametalens is capable of auto correcting blurry vision caused by a number of factors simultaneously. How is a Metalens made? A metalens focuses light and gets rid of spherical aberrations by using a dense layer of nanostructures which are smaller than a wavelength of light. Researchers first developed a metalens which was the size of a single piece of glitter. In order to be used for commercial applications the size of a metalens had to be scaled up. Since each metalens has a lot of information pertaining to it, increasing the size of the metalens from 100 microns to a centimeter sized lens, increases the information relating to it by more than 10,000 times the original metalens. This leads to a file size of gigabytes or even tetrabytes of information pertaining to the design of a metalens. In order to reduce the size of the file, researchers came up with an algorithm that is commonly used in fabricating integrated circuits. In making a metalens for commercial purposes would require the use of two industries, the semi-conductor industry that makes computer chips and the lens manufacturing industry. Right now researchers have no plans in selling the intellectual rights of the metalens tech and are exploring avenues to bring the metalens to the manufacturing belt.